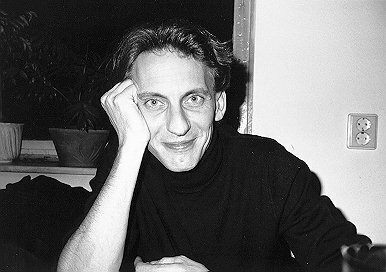 Manuel Göttsching, born in 1952 in Berlin Germany, is musician and composer. The guitarist of the 70’s has profoundly influenced today’s electronic music, and his compositions are performed by contemporary ensembles like Zeitkratzer, by classical pianists as well as jazz musicians. If you still cannot put your finger on the person that I am presenting here, one of the most celebrated pieces he recorded is the 1981 E2-E4, which has also been remixed as “Sueno Latino”. Here is an interview we made together through the Internet. 1) How did you meet Klaus Schulze and formed the Ash Ra Tempel band ? This is basically the story of my good friend Hartmut Enke and me. Let me tell you about the beginnings : I have studied classical guitar from early childhood, but wanted to play drums at the age of 15. So together with my best friend Hartmut Enke (bass) we created our first band on Harmut’s 15th birthday (1967), a kind of cover band. I ended up as the singer of the band. A year later – I studied improvisations with famous Swiss avant-garde composer, Thomas Kessler, back then – and Hartmut and me did not want to go on with cover songs. At first, in 1968 we started out with a totally freestyle experimental band, one year later 1969 this led us to a combination of blues influenced improvisations and new experimental sounds with traditional instruments: guitar, bass and drums. One day in 1970, Klaus Schulze (drummer) came and asked to join us, as he only left Tangerine Dream. This was the moment when Ash Ra Tempel was born. Hartmut just had purchased some of Pink Floyd’s sound equipment in London for us and we became the loudest band in town. The debut album Ash Ra Tempel (1971) was recorded in Hamburg by famed Connie Plank. After 1 year and after the first album Schulze left for a solo career, while Hartmut and me performed another 2 years and 3 albums as Ash Ra Tempel… Then, in 1973 Hartmut left music for good, and I remained Mr. Ash Ra Tempel, experimenting and performing solo. Albums like “Inventions for Electric Guitar” (1974), “New Age of Earth” (1976), “Blackouts” (1977) were the result. In 1977 I decided to form a new band with new members and new sounds. To make this clear, I shortened the name to Ashra. 2) Tell us about the krautrock scene in the early 70’s ? 3) I am very curious about the Seven up album with Timothy Leary. First of all, how did you guys meet ? Tim Leary lived in Switzerland in 1972, and Hartmut went with our producer to meet him and to talk about a common project. Tim liked a lot our album “Schwingungen”, our second album which we had released shortly before we met him. Tim proposed to work on his theory of the “Seven Levels of Consciousness“. We hired a few guest musicians and in summer 72 we all went to Berne/Switzerland for the recording. We had a great time, Tim really enjoyed it, he even started singing in some parts. 4) Would you say that your first solo album, Inventions for electric guitar in 1974 and New age of earth in 1976 paved the way for E2 E4 ? In 1974, I set up my own Studio Roma and recorded with just my guitar and two tape recorders my first solo album Inventions for Electric Guitar. It was a break through, a piece, played in one continuous uninterrupted rhythm – precise like a metronome. It manifested my signature style – the many years of classical guitar lessons obviously didn’t hurt! Contrasting with Inventions for Electric Guitar, I recorded my second solo album New Age of Earth in 1976, as a composition for keyboards and synthesizers. For sure, both albums but also my solo live performances in those years (concert tour, some fashion events) paved the way for E2-E4. You certainly need experience to perform, record and mix an 1hour piece in one take, withouth any interruption. No overdubs, I never changed anything. 5) In december 1981, you recorded the famous E2 E4 piece ? What led you to compose this ? I read you wanted something to listen on a plane ? In 1981 I was working on a new solo album, but nothing was really finished yet. As I was supposed to go to Hamburg the next day I thought of recording something easy and simple, no big production, just to have some music for my walkman on the flight. So, on a sunny December afternoon, it was the 12th, E2-E4 was born. 6) Was E2 E4 mostly improvised or did you started out with a blueprint in your head ? It is an improvisation based on a theme of two chords with shifting accents, from the beginning to the end. 7) When you were in Germany, were you aware that DJ’s like Larry Levan played E2 E4 at the Paradise garage in New-York back then in the 80’s when the record was finally released in 1984 ? No, I heard about it when Larry was already dead. What a pity! I would have loved to meet this guy! 8 ) How did Sueno latino contact you to collaborate on their song Sueno latino in 1989 ? 9) You performed in Japan for the Metamorphose festival. From the video I saw on youtube, it seemed very impressive. The crowd was massive. Tell us about your experience there. I am going to Japan regulary since 1997. Metamorphose is a great festival with an excellent choice of music. The concert you are talking about is probably the first solo concert of E2-E4 in 2006. But I was performing there also with my band Ashra in 2008, and last year in 2010, I performed “Inventions for Electric Guitar” for the first time live on 4 guitars there, with Elliott Sharp (NY) Steve Hillage (London) and Zhong Shouwang (Bejing). Check out the clip from a program on Japanese TV. 10) For the people who would be interested in krautrock records in your discography, what would you recommend them ? A special thanks for Manuel to have taken time to answer my questions and to his manager, Myriam. Manuel was also kind enough to send me 2 live DVD. His generosity is on par with his talent…As for E2 E4 will always be in my top 10 for the rest of my life. For those interested to read more about E2 E4, here is the blog post I wrote on it a couple of months ago. Oh yeah Manuel Göttsching E2 E4! Hi there and welcome to my blog. I am always looking, searching and digging for new beats and sounds. On my blog you will find interviews, reviews, mixes and much more ! An edit mix of Funky edits...and some tunes..so fresh!!! !